Human flesh searches have been equated with both cyber activism and cyber vigilantism. Sympathetic portrayals of the practice have pointed to the ability of flesh searches to empower ordinary citizens to hold the government more accountable. In an interview with The Atlantic, sociologist Tricia Wang explained, “Flesh searchers feel like they are sharing information in a system that does not have a comprehensive or consistent rule of law.” The searches are a component of the “long revolution,” analyzed by China scholar Guobin Yang in his 2009 book, The Power of The Internet in China, which is slowly forcing Chinese society to be more participatory and transparent. Proponents of flesh searchers as democratizers highlight cases such as Yang Dacai, the head of the Saanxi Province Safety Supervision Bureau. After a photo of an unidentified official grinning maliciously at the scene of a bus fire that killed 36 people in 2012 went viral, an online investigation revealed the official’s identity. Images were then uploaded of Yang wearing luxury watches he would not be expected to be able afford on his public servant’s salary. The public outcry led to an official investigation, and Yang was later sentenced to 14 years in prison for corruption. Similarly, following a deadly car crash in Hebei, where the driver emerged arrogantly from his vehicle to taunt the surrounding crowd, “Go ahead, sue me if you dare. My dad is Li Gang!” flesh searchers tore into the hitherto unknown Li Gang. The driver was identified as Li Qiming, the son of the deputy director of the Baoding City Public Security Bureau. Images of the family’s luxury properties went viral. The father was dismissed and the son was given six years in prison. In a recent article for The Diplomat, Shannon Tiezzi also noted several cases where a human flesh search has led to violence, such as a specific case sited by Liu Zhengrong in which a young girl committed suicide after seeing her personal details online. 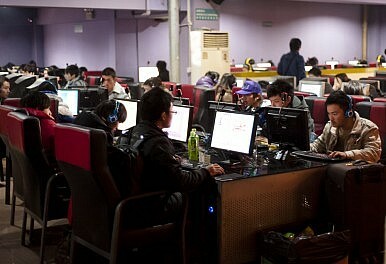 However, even taking the negative externalities into account, the official condemnation of the practice should be seen in light of Xi Jinping’s August comments urging the propaganda department to build “a strong army” and to “seize the ground of new media.” Liu Zhengrong’s benevolent claim of protecting Chinese citizens from violent online content is the latest in a series of developments that combined show a calculated policy by Beijing to ensure the government’s supremacy online. The targeted elimination of human flesh searches comes close on the heels of the government initiative to prosecute online rumors. The policy, which generated considerable condemnation in Western media for the ease with which it may be manipulated for political expediency, states that Weibo users accused of posting “rumors” that are viewed more than 5,000 times or shared more than 500 times will be held criminally liable. Within the first two weeks of the policy, Chinese human rights defender Wen Yunchao catalogued more than 450 arrests. In 2012 the Supreme People’s Court proposed a similarly spirited measure. The court proposed that lawyers be disbarred for blogging or emailing trial information without preapproval. Joshua Rosenzweig, a human rights researcher, told The Guardian that the ambiguity of the court’s announcement could be used to block activist lawyers from contributing to broader informed discussion. That many of China’s rights lawyers are active on Weibo, constraining their ability to disseminate information about their cases effectively serves to limit access to potential information for online activists. Government attempts to emasculate online activism have extended further, in the form of directives to judges themselves.